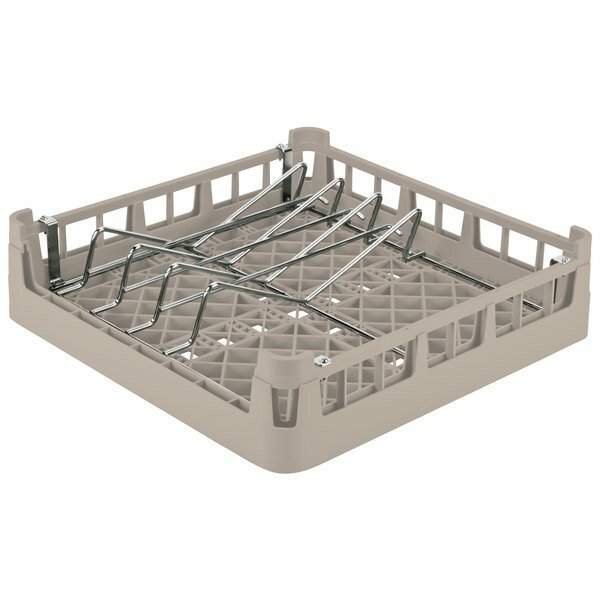 This Vollrath 52664 Signature full-size beige open end sheet pan and tray rack easily holds cafeteria trays or full size sheet pans during washing in your commercial kitchen. 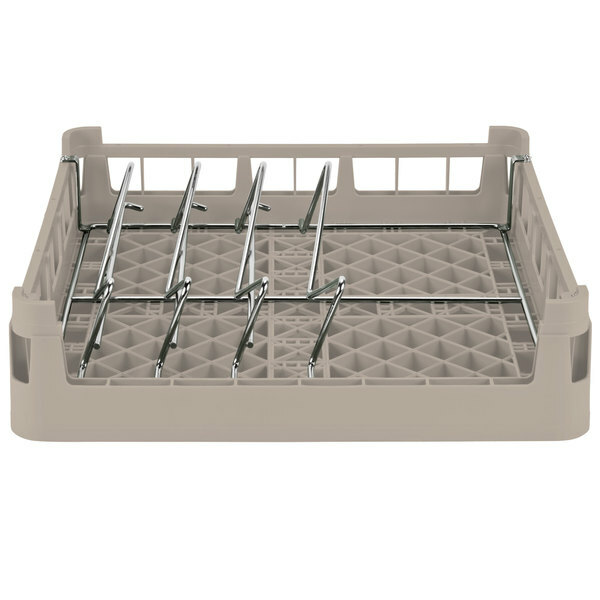 It is open ended on one side for easy placement and removal of trays of all lengths. 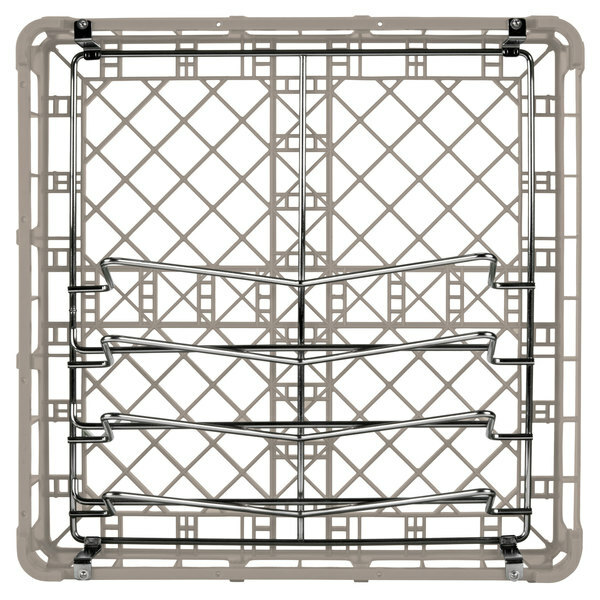 This sheet pan rack holds 3 full-size sheet pans at once and is designed to fit standard height openings for most conveyor dishwashers. With a chrome wire insert that holds the pans at the proper angle for optimum cleaning, this rack provides the best in sheet pan washing ability. 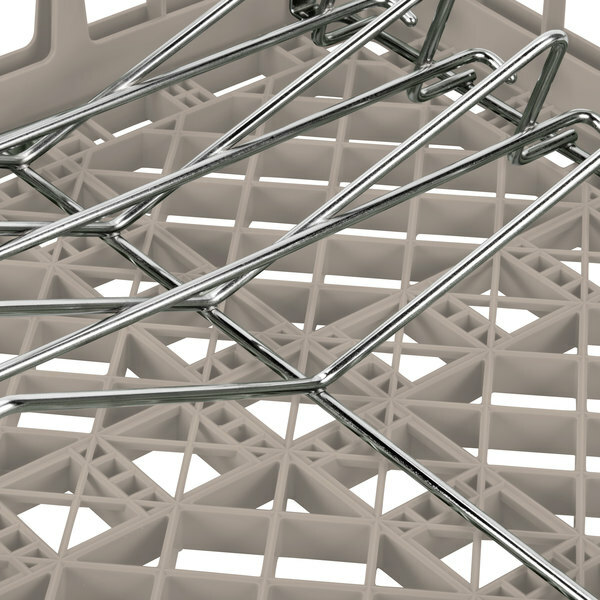 Plus, this rack even stacks with the wire insert in place for space-saving storage! 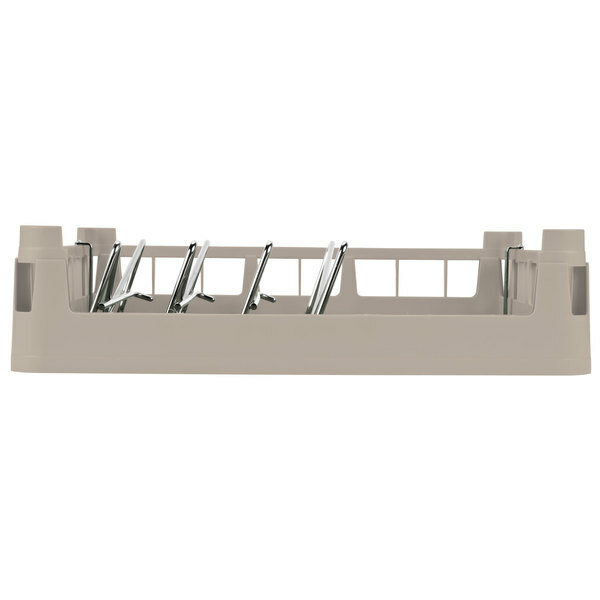 This rack comes in a beige color, making it the perfect addition to a color-coded warewashing system. 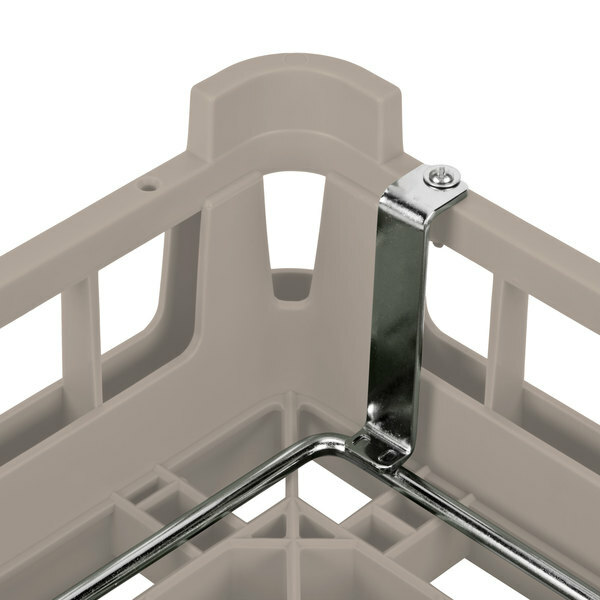 When combined with racks of other colors and configurations (sold separately), this rack allows you to see at a glance what it should be used for, preventing cross contamination and ensuring that all of your sheet pans and other items are washed in correctly sized racks.